Looking to utilize more cooking space on your rectangular stove? We use the Boaties Frying Pan on our boat and at home and love it! 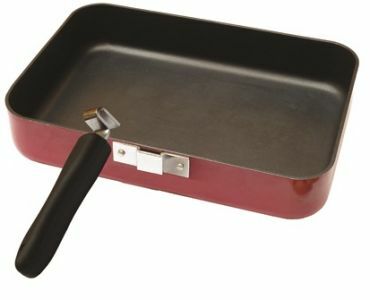 The Boaties Frying Pan is designed to fit recreational stoves which are normally compact and have limited cooking area. It's rectangular shape gives maximum cooking area for minimum stove area. The handle is horizontal and does NOT slope upward so you will want to ensure that it clears the stove fiddle rail (galley rail). The clearance of the handle = 1 5/16" from the bottom of the handle to the bottom of the frying pan. 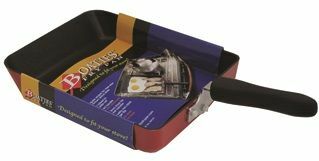 The Boaties Frying Pan weights just under 2 pounds and is a compact cooking solution. Space and weight are at a premium whether you are a boater, camper, hiker or RV'er. Dimensions: The Boaties Frying Pan cooking area is: 8" W X 10" L X 1 1/2" Deep. The dimensions with the handle are: 8" W X 15 1/2" L from a storage perspective. We ship the Boaties Frying Pan outside the United States. Just add the frying pan to your cart and then you can select the appropriate Country and add the Postal Code to see what the shipping cost would be. Taxes or Custom Fees/Duty are the responsibility of the purchaser. Rectangular shape gives maximum cooking area for minimum stove area. Designed to fit recreational stoves which are normally compact and have limited cooking area. 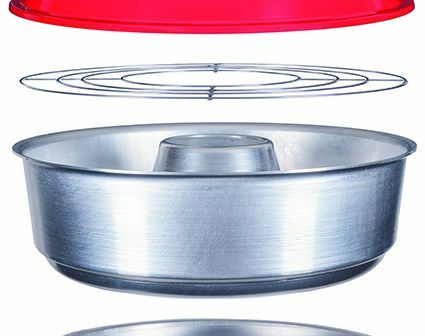 Stainless steel induction base allows use on all stoves. Dimensions with the handle are: 8" W X 15 1/2" L from a storage perspective. 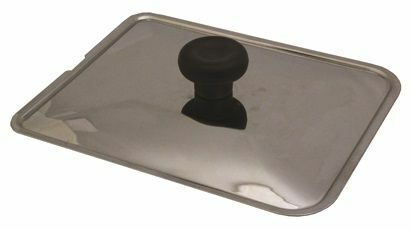 The Boaties Frying Pan Lid is a one pound Stainless Steel cover made specifically for the Boaties Frying Pan. We use the Boaties Frying Pan Lid with our Boaties Frying Pan on our boat and at home and love it! Space and weight are at a premium whether you are a boater, camper, hiker or RV'er. 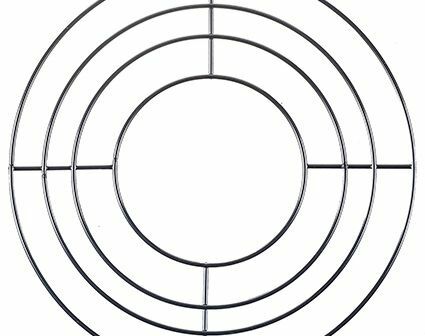 Dimensions: The Boaties Frying Pan cover area is: 8 1/4" W X 10" L .
We ship the Boaties Frying Pan Lid outside the United States. 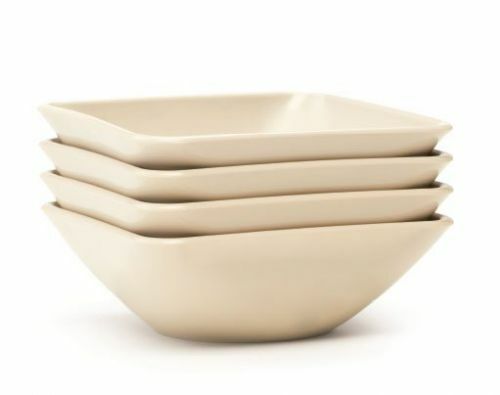 Just add the frying pan lid to your cart and then you can select the appropriate Country and add the Postal Code to see what the shipping cost would be. Taxes or Custom Fees/Duty are the responsibility of the purchaser. Looking for a great baking pan for your oven? 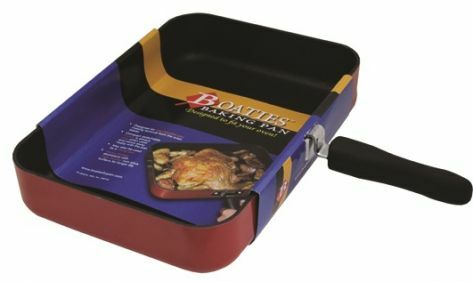 The Boaties Baking Pan weights just under 2 3/4 pounds and is a compact baking solution. 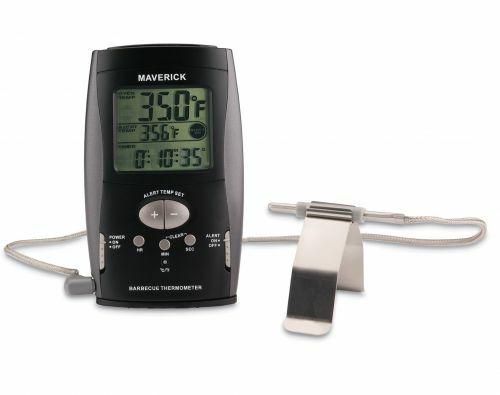 Space and weight are at a premium whether you are a boater, camper, hiker or RV'er. We ship the Boaties Baking Pan outside the United States. Just add the baking pan to your cart and then you can select the appropriate Country and add the Postal Code to see what the shipping cost would be. Taxes or Custom Fees/Duty are the responsibility of the purchaser. 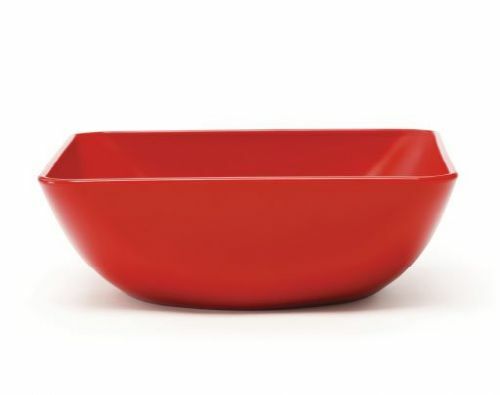 Dimensions with the handle are: 12" W X 14 1/2" L but the handle comes off for storage so the dimensions are: 12" W X 8 3/4" L..